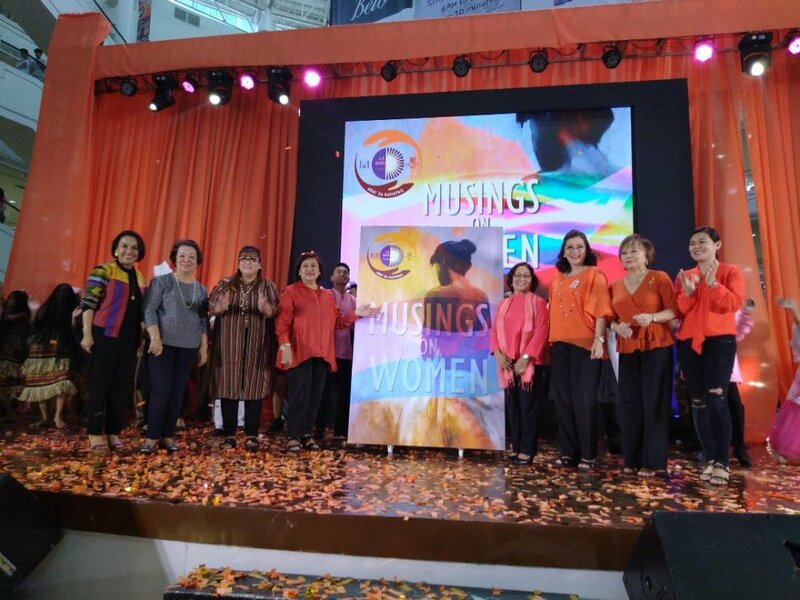 Unveiling.From left: Cebu City Councilor Margot Osmena, Arts Council of Cebu President Dr. Vivina Chiu, Mandaue City Councilor Cynthia Remedo, Zonta Area Director Stella Bernabe, Philippine Council of Women Chairwoman Dr. Rhodora Bucoy, Zonta Club of Cebu II President Marilou Canizares, Abay sa Kahayag Chairwoman Dr. Elsa Basubas and Ayala Center Cebu Marketing Officer Wilma Besin. "From over a hundred entries, we have narrowed them to twenty-five. It was a tough and difficult selection process by the Screening Committee. I am awed at how talented our photo enthusiasts are and we hope that through pictures, we can send a strong message on how essential the roles of women in society are and how equality among gender can enhance community building," says Archt. Filna Espina, Chairperson of the Musings on Women Photo Competition. The 25 entries that will vie for the Top 3 spot and big cash prizes are: "Age& Contentment", "First Teacher," "Braving the odds", "Fighter," "It’s never about money, it’s all about passion”, "Pot of Gold", "Guitana, Student Athlete","PAF 15 Strike Wing Belle", "Too High, Airforce Pilot on a mission," "Endure the Pain", "Rice Field, TubohanField," "Ang Tingsi ni Nanay among kalipay”, "Hiros","Hablon Weaver," "Lanzones Vendor," "FishVendor," "Teacher," "Sports Team Work,""Sastre," and "Ivatan in Batanes." "Musings on Women" is one of the activities of Abay sa Kahayag's 18-Day of Activism against gender-based violence. "Abay sa Kahayag" is a long-term partnership with the City of Mandaue to advance the welfare of women and children against violence and abuse. The painting exhibit is participated by premier artists from Aninaw Art Collective, Aroma Art Atelier, Bohol Artists Collective, Cebu Artists Inc, Mugna and Pintal. "I am calling on everyone to support our cause by buying a painting. We desperately need funding support to fulfill our mission," Zonta Club of Cebu II President Marilou Canizares. People who view the exhibit shall be able to choose through ballots the best photo in the PEOPLE'S CHOICE, an adjunct category to the official judging criteria. Winners of the photo contest shall be announced and awarded on Dec. 5 after the symposium on "Redefining the Meaning of Gender" at Bai Hotel in Mandaue City.